Round mass of Cassisterite that is brownish yellow with stripes of darker color and very well defined concentric growth (the so called “wood tin” variety). An old Mexican classic. 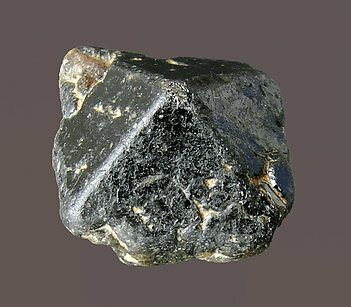 Cassiterite crystal with sharp faces and edges. The twin is very marked. This specimen comes from a little known Portuguese locality. 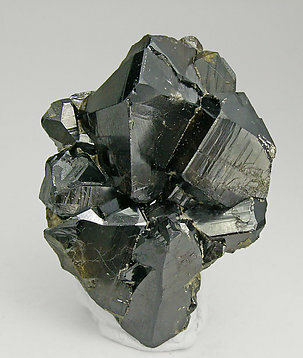 Cassiterite crystal with sharp faces and edges with a considerable size an twinned. This specimen comes from a little known Portuguese locality. 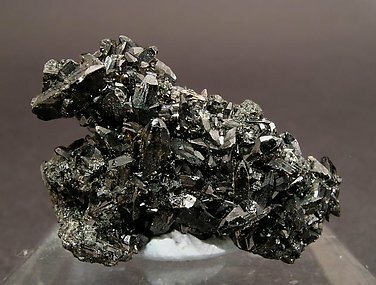 The locality is really unusual for crystallized Cassiterite. Crystal shows well-shaped faces of the pyramid and, less defined, the faces of the prism. The base, very rough, is a contact. One of the frequent rarities that Folch’s collection contained, in this case for its locality. 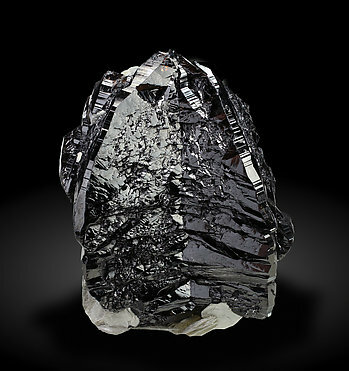 The crystal is a floater, with very sharp faces and edges with a little coverage of Mica. 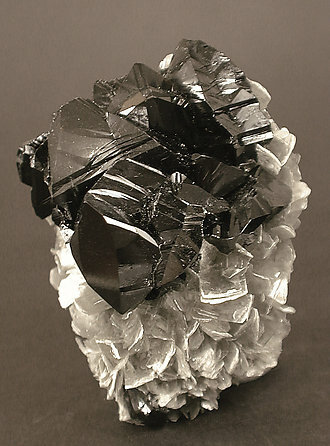 The classic habit for crystals of Cassiterite from the Dolcoath mine. Very enlarged prisms with faces on the tips forming very acute pyramids. A specimen with pedigree because on its back side are both the numbers of the Folch and Sir Arthur Russell collections. The specimen is documented also with the labels from both collections. In this group the crystals are brilliant, and have perfectly defined faces and edges. They have the clear form of the twin, which is not often seen from this locality. 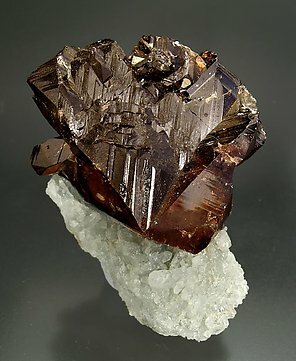 Group of translucent Cassiterite twinned crystals, with more than an excellent luster and dark honey color. With Quartz crystals on matrix. One of the best samples that we can remember from the locality due to its crystals which are very much larger than usual. 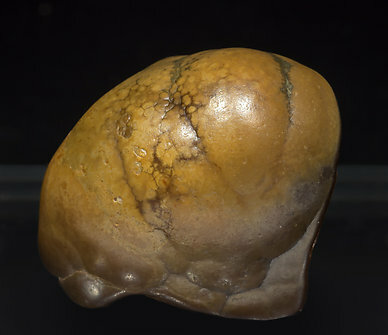 Faces and edges are very well defined, the twin is evident but slightly marked, and are translucent, having a very deep color. 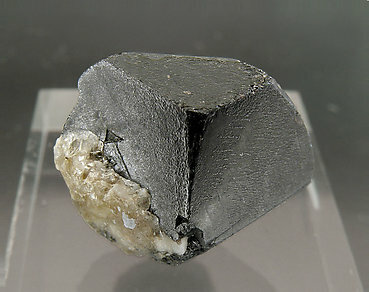 Gem single crystal of Cassiterite, complete in all sides (but with a contact on its back) pretty sharp and huge. 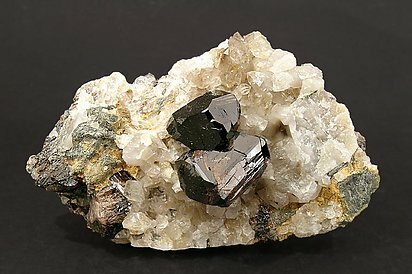 Polycrystalline growths of Cassiterite with a very prominent twinning, very bright deep black color and with a small matrix of colorless beryl and leafy growths of Muscovite. 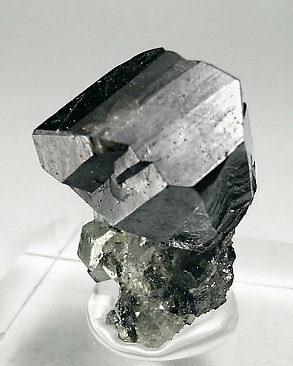 Doubly terminated Cassiterite that is just as nice as the photo suggests. Well placed on a minor Mica-Quartz matrix and pretty gemmy. 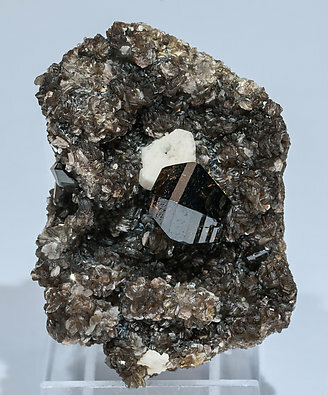 Single Cassiterite crystal with an unusual size for the locality. 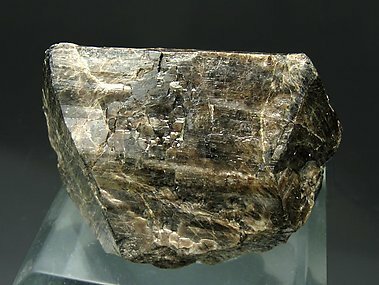 It forms a cyclic twin with very well defined faces and edges, and on the terminal faces is a parallel growth of Ferberite crystals. Exceptional for Panasqueira. Classic locality for excellent Cassiterite. 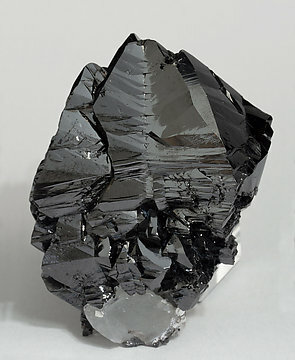 The very brilliant crystals have some degree of translucence and are lighter in color than is typical for the locality. They are on a matrix of Quartz. 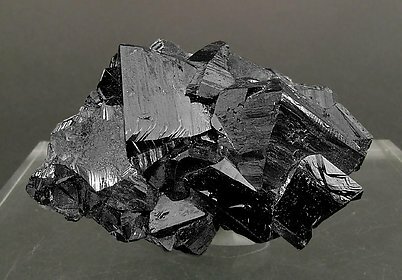 The crystal size and habit is bigger and better than usual for the regular Chinese Cassiterite material. But the real attraction is its transparency. 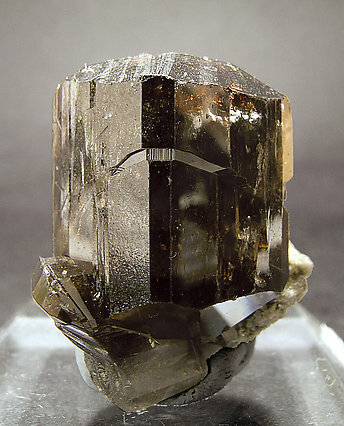 Although it is not very visible due to the Quartz matrix, with the use of a strong light we can appreciate that the crystal is partially gemmy showing a clear brown rather funny phantom at its bottom left corner. Plus the contrast with the white Quartz matrix increase the beauty of the specimen. 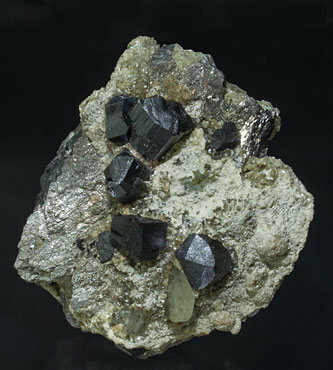 Isolated twinned Cassiterite crystals that are very well defined and with a considerable size for the locality. 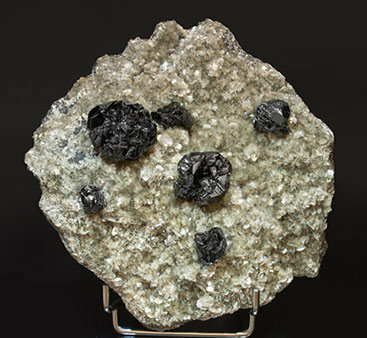 They are on an Arsenopyrite matrix with tabular Fluorapatite crystals and spheroidal Muscovite aggregates. 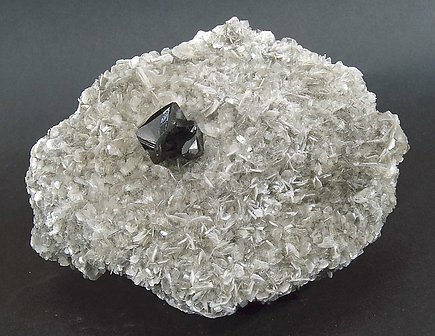 The back side could be almost considered as a different sample because it is dominated by an aggregate of very bright Arsenopyrite crystals with an excellent development and partially coated by Muscovite. 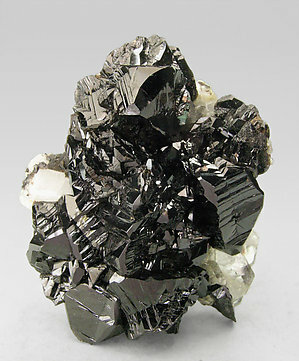 Group of black twinned crystals of excellent luster and very well defined forms. They are with small tabular crystals of Beryl. 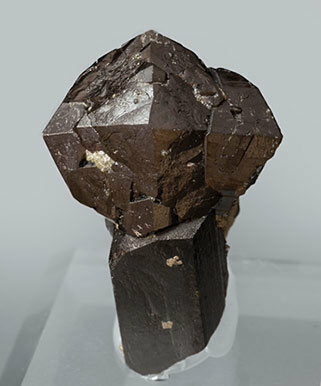 Twinned Cassiterite crystals with very well defined parallel growths. 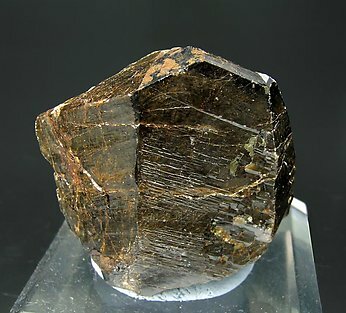 They are between transparent and translucent, very bright, have a dark brown color with golden reflections, and they are on matrix, with Muscovite and a white Albite crystal. Exceptional for the locality. Very well defined twin on matrix with small crystals of Fluorapatite, Siderite and Quartz. 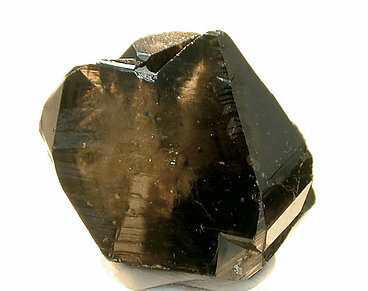 The Cassiterite crystal has a contact on the back. Black and white. But its luster, perfection and the nice soft white Mica give a great contrast... For me it is like a jewel with its unquestionable quality. The crystals are not that big but the luster in incredible! 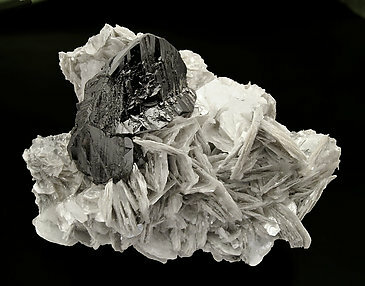 The Mica is also nice, and the Cassiterite crystal's form is excellent. Actually it is quite difficult to obtain Cassiterite specimens from this locality. Very sharp faces and edges, excellent brilliance and unusual transparency, and on matrix. 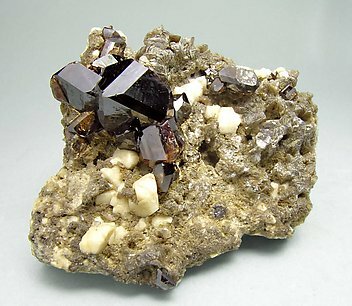 Well-defined and esthetic group of twinned crystals of Cassiterite on a matrix of crystallized Muscovite. On one side of the Cassiterite is a crystallization of Fluorite (fluorescent under UV light) which is very uncommon for the locality. Geometry and a very intense luster characterize this twin of two crystals, a twin that is splendidly well defined and that has the added “touch” of very sharp laminar and perfectly defined Muscovite crystals. Isolated groups of twinned Cassiterite crystals with very well defined forms. 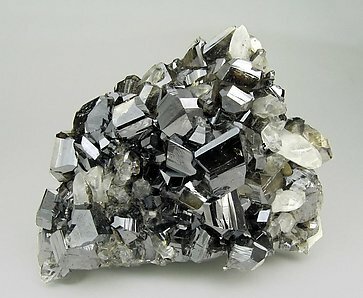 The highly lustrous crystals are implanted on a rocky matrix coated by sharp, bright, laminar Muscovite crystals. Because of its size and quality, this could be called a “museum” specimen.